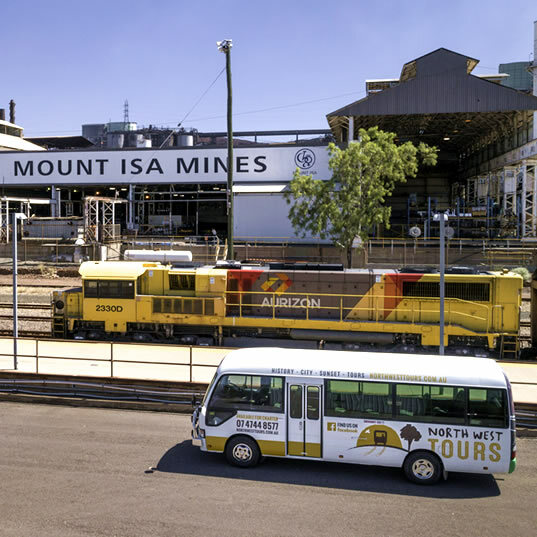 North West Tours is proudly owner-operated from our offices in Mount Isa. We are passionate about the region and support a host of local businesses. To maintain local integrity, we work closely with numerous cattle stations on whose land we have access. We specialise in small group tours in and around Mount Isa. With our comprehensive interpretative tours we provide visitors with a friendly hassle-free experience of the second largest city in the world (by area). Our tours range from 2 ½ hour city tours through to exciting full-day tours. Departing from Mount Isa, our tours focus on sharing the history and adventures of this remote outback area. You can be sure that when exploring with North West Tours, you will experience the passion, knowledge and commitment we feel for the unique areas we choose to live in and share. You will be well cared for in a safe and comfortable environment, and you will feel confident that you are receiving value for money.